A milestone has been reached in the project to consolidate Lord Williams’s School onto a single site. Consultants acting for the Thame-based academy have submitted the Design Brief for residential development on the Lower School site to Thame Town Council. This stage in the process is required by the Neighbourhood Plan, and follows a consultation process in which neighbours of the school and Thame residents were shown potential concepts and feedback was sought. PCMS Design has been involved in advising Lord Williams’s School, liaising with Oxfordshire County Council and assisting with the appointment of planning consultants Lanpro. 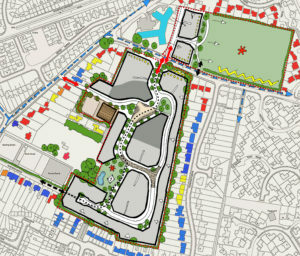 The Design Brief before the Council is for a compliant 135-dwelling scheme, and has responded to the feedback received. Housing that is sympathetic to existing adjacent dwellings is being proposed, and the scheme includes public open space, sustainable drainage infrastructure and retains key hedgerows. The proportion of affordable housing will be determined later in the project. 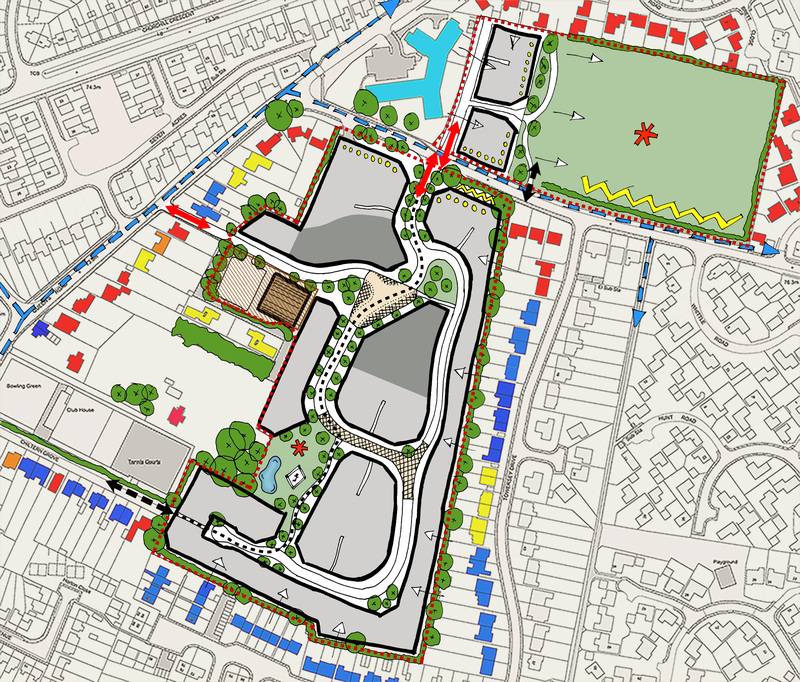 The adoption of the Design Brief will help to deliver the aspirations within the Thame Neighbourhood Plan for housing, and also for consolidating the school at the current Upper School site on Oxford Road. This entry was posted in contract administration, design, development, School Construction, SODC, South Oxfordshire District Council, Thame on January 28, 2019 by admin. From time to time, we are asked to design residential extensions for clients which fall under permitted development (PD) rules. Householders are permitted to carry out a range of extension projects to their home without first obtaining planning permission, providing the proposed works satisfy a list of rules. However, in certain cases we advise clients that in order to provide additional reassurance, that they should apply for and obtain a Certificate of Lawful Development from their local authority. This is a simpler and cheaper process than applying for Planning Permission, and means that should the property be sold in the future, all of the paperwork confirming that the extension is permitted is readily available. We achieved this recently for a client in Oxfordshire; the proposal involved demolishing a conservatory and replacing it with a single storey rear extension – see 3D visual impression. The local authority agreed and duly issued the Certificate. Our client can now go ahead with the project, reassured that everything complies with permitted development rules. We can provide lots more advice on how to improve and extend your home. This entry was posted in extension, Oxfordshire, Residential, SODC on December 20, 2017 by admin. A family in a village to the east of Oxford was extremely pleased this week to receive planning consent from South Oxfordshire District Council for a two storey side extension to their home. Because the house is situated within the Oxford Green Belt, a convincing case had to be made that the scheme complied with current planning policy for development with the Green Belt. SODC Green Belt planning policy states that an extension should be no greater than 40% of the volume of the original dwelling. As the premises had already been extended to the rear, our design brought the total volume added since first construction to 65%. This is outwith planning policy, and our argument centred on how much the dwelling could potentially be extended using permitted development rights alone. Our convincing explanation, along with a sympathetic design, was accepted by planners. Once extended, the house will have a new master bedroom and en suite bathroom upstairs and the added benefit of a shower room and utility on the ground floor, creating a more spacious and attractive family home. 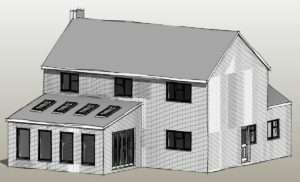 This entry was posted in design, extension, Green Belt, House Extension, Oxfordshire, permitted development, planning permission, Residential, SODC, South Oxfordshire District Council on June 7, 2017 by admin.